Forget your cubicle. There’s a social club for that, and it comes with swoon-worthy shared workspace (and food and drinks…). These days it seems like we can’t go a day without being introduced to a new one. Thankfully, you don’t necessarily have to join to find out whether a club is for you. Below, a set of luxe spots around the world, which, among their many perks, include accommodations. Stay the night (or two or three…), savor all the amenities that come with membership, and then go home to consider your application. 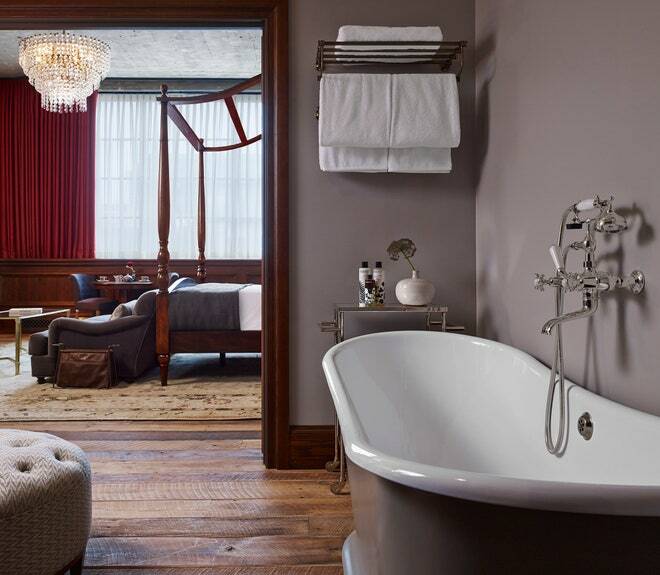 In line with the brand’s 20 total houses worldwide, no detail is left undone at Soho House Chicago. This century-old converted warehouse called The Allis (named after the family that owned the former belt factory) is full of age-old beauty. The House’s entry level foyer best exemplifies this, with tufted leather club chairs, velvet chesterfield couches, antique chandeliers, and worn Persian rugs that punctuate the weathered wooden plank floors. Upstairs, members and hotel guests can indulge in the house amenities: dreamy rooms, a tricked-out 17,000 square foot gym with a vintage-inspired professional boxing ring, and steam rooms, plus a rooftop pool-restaurant-bar with sweeping city views. If six stories of rustic-luxe isn’t enough to sweep you off your feet, consider the little things that really make this place stand out: hotel room credenzas stacked with vintage tins of fresh-baked chocolate chip cookies and herbal teas, a crystal cocktail set complete with a collection of fresh citrus fruit for an impromptu in-suite soirée, a Cowshed-stocked bathroom (no travel size samples here), and drawers full of homey perks like hair straighteners, hot water bottles, and comic books. What’s best: Unlike the other Houses, this location has ample areas open to the public, which means whether you’re awaiting your application acceptance, a Chicago native curious about all of the fuss, or find yourself with some spare time, you can get a sneak peek of the city’s place to be. It’s nearly impossible to get a membership at this invite-only social club in San Francisco’s Financial District. You’ve got to be nominated by one of the 4,800 existing members, impress a top-secret membership committee, and then wait as long as a year to be accepted. But wait! Though the Battery is private, they have a 14-suite hotel that’s open to the public, designed by Ken Fulk. A reservation at the hotel gives guests a golden (albeit temporary) ticket to the full club, which means you’ve got free rein to use all of the fabulous facilities: 717B and Living Room restaurants, the speakeasy-style Musto Bar (and the hidden bookcase door that unlocks The Green Room, another secret hideaway), a communal library, a light-filled basement home to a fitness center and spa, and an outdoor garden courtyard. 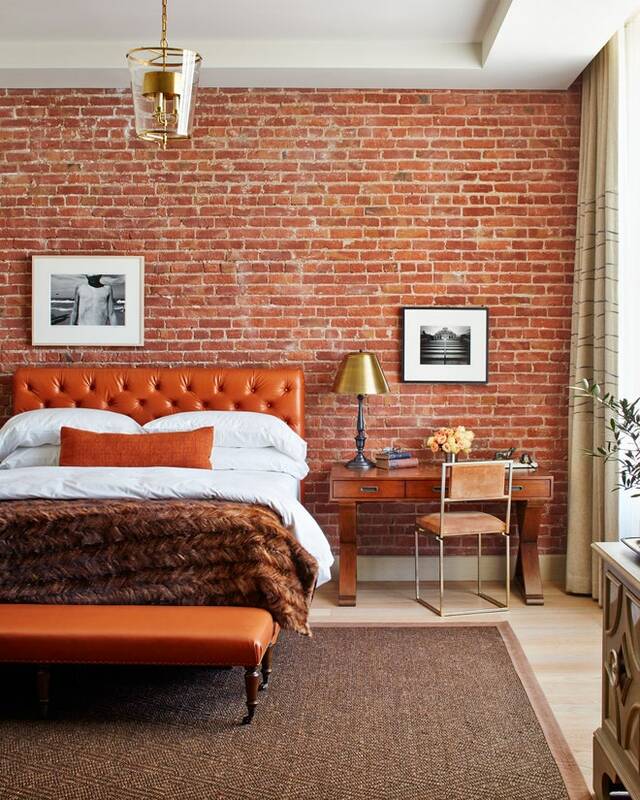 When it comes to rooms, size may vary slightly (they skew large), but none skimp on individualized Fulk-ified style (think cognac leather headboards, expansive velvet sectionals, and an eclectic collection of reading materials) and off-the-charts character thanks to floor to ceiling windows, exposed steel beams, and red brick. Unsurprisingly, top-of-the-line amenities like locally sourced snacks, a Nespresso machine, and Malin + Goetz products add to the indulgent in-room experience. Simply put: the members- and guests-only private rooftop atop the Petit Ermitage is like a little slice of heaven (Morocco meets Spain meets secret garden) tucked away in the heart of West Hollywood. The 79-suite hotel more closely resembles an unassuming apartment building–that is, until you step inside. Walls are lined with art from the owner’s personal collection, including de Kooning, Dali, and Rauschenberg, and floors are covered in brightly colored, hand-woven Turkish rugs. Start the day with sun salutations (and sweeping 360 views of the city) during morning yoga. If yoga’s not your thing, there’s always the on-site gym, complete with a giraffe mural. Alternatively, take a dip in the fresh saltwater pool, grab a seat in the garden and work amongst the hummingbirds and butterflies, or chill in one of the poolside cabanas that are covered in kumquat trees. When the food cravings really kick in, the rooftop restaurant provides globally inspired fare that’s equally parts Californian and Egyptian—and entirely out of this world. Cap off the night sipping on specially crafted cocktails with ingredients from local farmers markets. Of course, it wouldn’t be Hollywood without a good movie. Snuggle up under the stars every Monday evening for screening on the fire deck. Coworking meets commune at The Assemblage, in the heart of New York City’s Flatiron District. While the 12-floor NoMad House offers the good stuff you’d come to find at a myriad of clubs across the city (lounges, restaurant, library, screening room, rooftop), it’s the daily wellness programming—kundalini yoga, sound meditation, breathwork—that makes The Assemblage unique. Additionally, members and guests can partake in private workshops on topics ranging from wellness and consciousness to culture, capital, and technology. Even better: you don’t need a membership or a friend with an in to get, well…in. The club opens its doors to the public for several of the events. If you come to find you can’t get enough of the club life, book an apartment at one of The Assemblage John Street’s studio and one-bedroom apartments, in the Financial District. 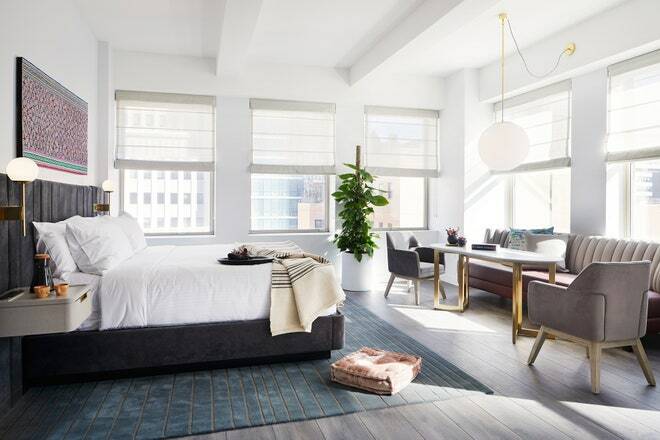 Available for a day, a month, a year, and so on, your own private apartment comes decorated (by New York City-based design firm Meyer Davis), and fully stocked with all the amenities of a five star hotel: daily housekeeping, laundry service, and free Wi-Fi. What of all those times you’re traveling? When London calls, pick up and pack your bags for The Hospital Club in Covent Garden. Beloved by media types for its digital arts programming and impressive screening room, a stay gets you into seven stories of member space including the restaurant, bar, lounges, galleries, cinema, and pool–all with strong retro vibes. If Eastern Europe is more your speed, don’t miss Brodyland, a Budapest creative community with five locations, where no two buildings are the same in design or purpose. Without membership, the best way to experience it all is at Brody House, an 11-room boutique hotel with coffee bars and cute nooks for co-working, or Paulay House, a penthouse spot for short or longer term stays. In South America, The Clubhouse Buenos Aires, a hidden haven set in a humbly restored four-story townhouse in Palermo Soho is as good as it gets. Make yourself at home as you make new friends in the cavernous rooms with steel beams, concrete floors, deep velvet sofas, and walls of Warhols, or wander outside in the ivy-walled garden by the pool. Among other activities, late night parties here are legendary, and draw a creative international crowd looking to let loose. You won’t want to retire to bed, until you remember the incomparable (and complimentary) brunch that’s in your future. Non-membership, it seems, has its perks. Be the first to comment on "7 Exclusive Social Clubs Where Non-Members Can Stay the Night"